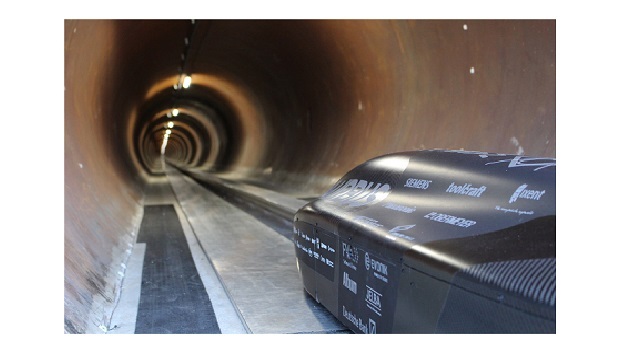 It is the fastest time ever measured on a test track, Team WARR Hyperloop of the Technical University of Munich (TUM) reached 290 mph (467 km/h) with its pod during Elon Musk’s third Hyperloop competition. With 144 power semiconductors from Infineon Technologies AG, the 154-pound (70 kg) carbon fiber pod was three times faster than the project of the runners-up (88 mph). The competition was held in a 0.75-mile long and near vacuum tube close to SpaceX headquarters in Los Angeles, California. The space technology company arranged the competition together with its founder Elon Musk. A total of 20 international student teams and nearly 600 participants from all over the world took part. The competition is meant to test the technical possibilities for the so-called Hyperloop. Tesla CEO and SpaceX founder Elon Musk will use it to transport people and goods at the speed of sound. “We congratulate Team WARR Hyperloop on this sensational success,” said Hans Adlkofer, Vice President Automotive Systems at Infineon. “The engineers from TUM have once again won the competition. This proves their excellent education. Our chips lay the foundation for victory”, he added. Infineon supports the Munich team as sponsor and supplier of components. The students integrated 144 power semiconductors for the drive control of the eight electric motors that made the speed record possible. In addition, Infineon sensors provide data for precise detection of the rotor position – indispensable for controlling the motors. In addition to the competition for the highest speed, solutions for contactless locomotion using magnets were also tested; this is the only way to achieve the speed of sound. Team WARR Hyperloop has also taken up this challenge: Its capsule hovered over the required distance of 25 meters. This is why the Munich students also received one of three innovation prizes for their magnetic levitation pod. There, too, a power module from Infineon was included that controls the power drive.